SoftPanel-2 is a software based virtual control panel for PC. 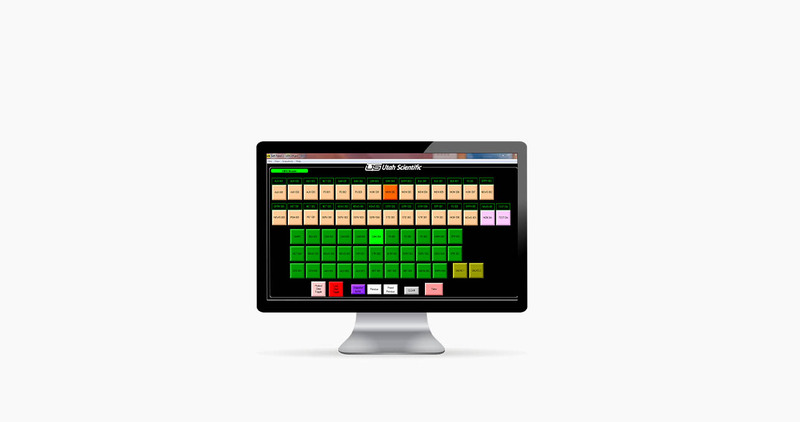 It allows you to create custom, user defined virtual control panels with a creation tool kit. The free form tools enable the ability to create your own layout with background, button colors, sizes and a variety of functions. The SoftPanel-2 also comes with a series of templates that emulate the Utah Scientific UCP Series hardware control panels. The virtual panels are operated from network computers connected to the Utah Scientific control system. The panels are also capable of operating using touch screen monitors for additional flexibility. Router definitions, source and destination tables are fully synchronized with the Utah Scientific controller to ensure labeling in the SoftPanel-2 matches the labels that appear on the hardware panel. The Player module allows operation of the created virtual control panel. Virtual panels can be installed on any computer throughout your facility.